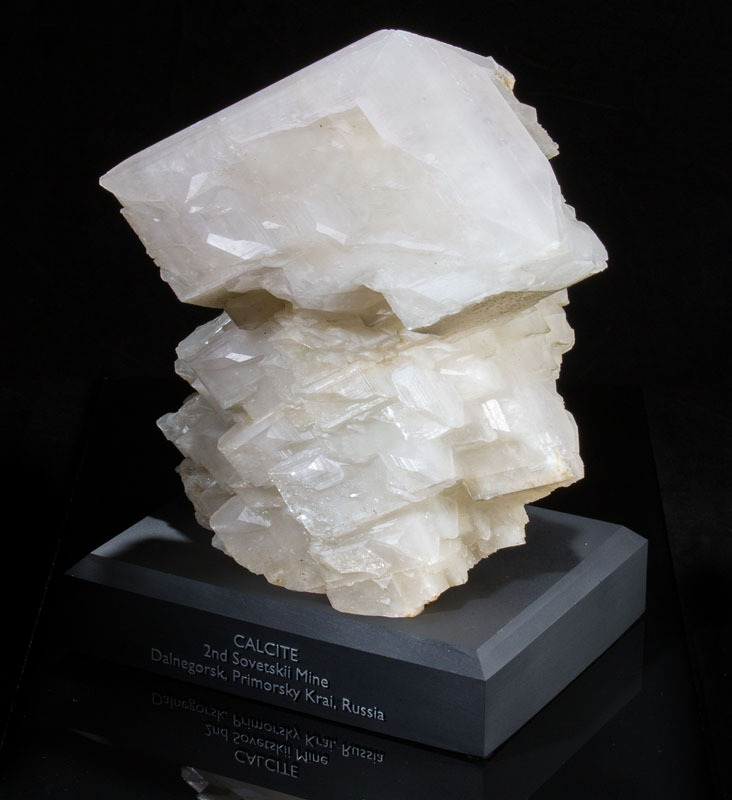 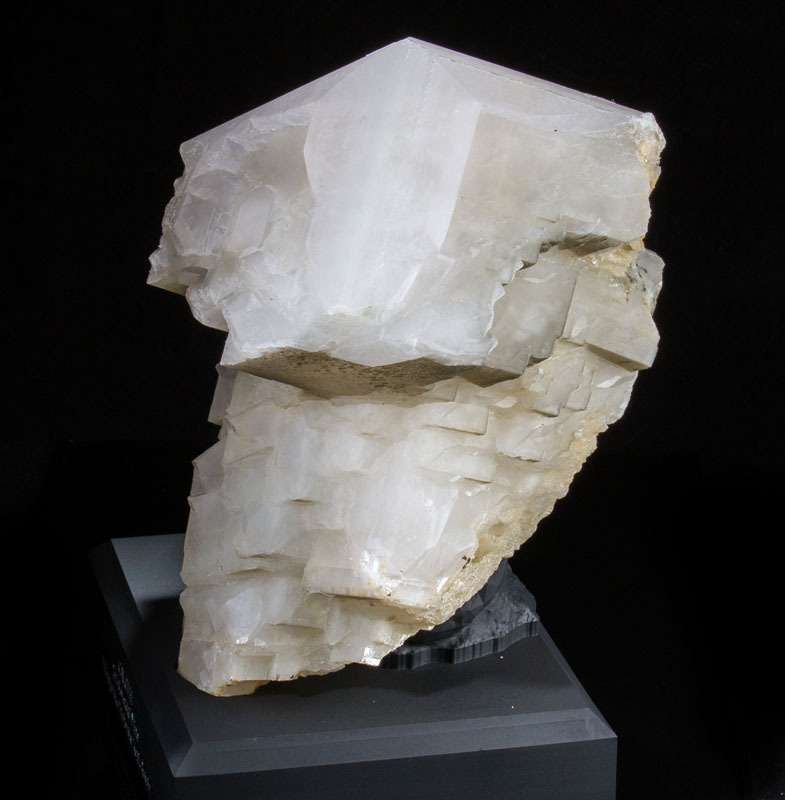 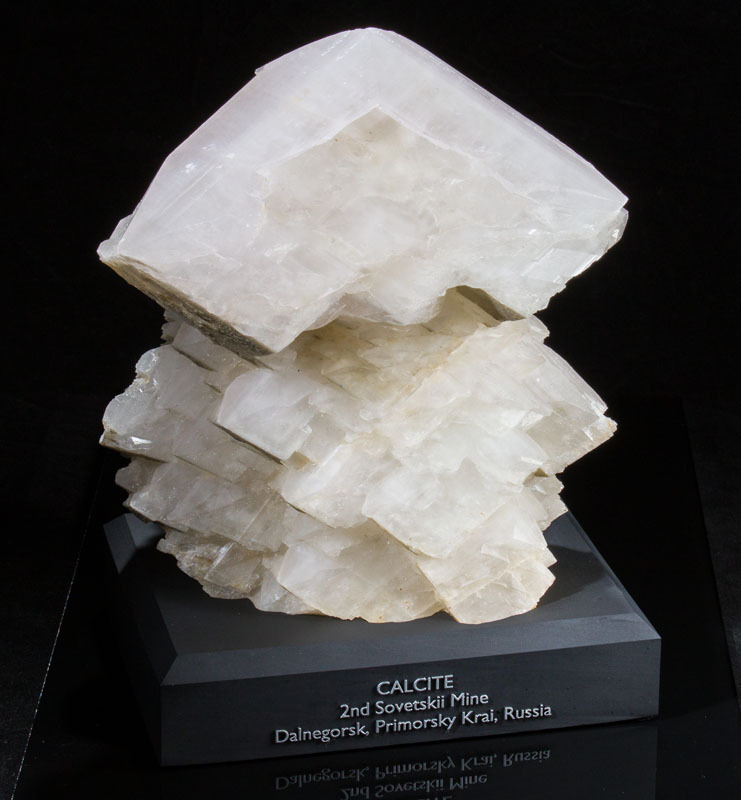 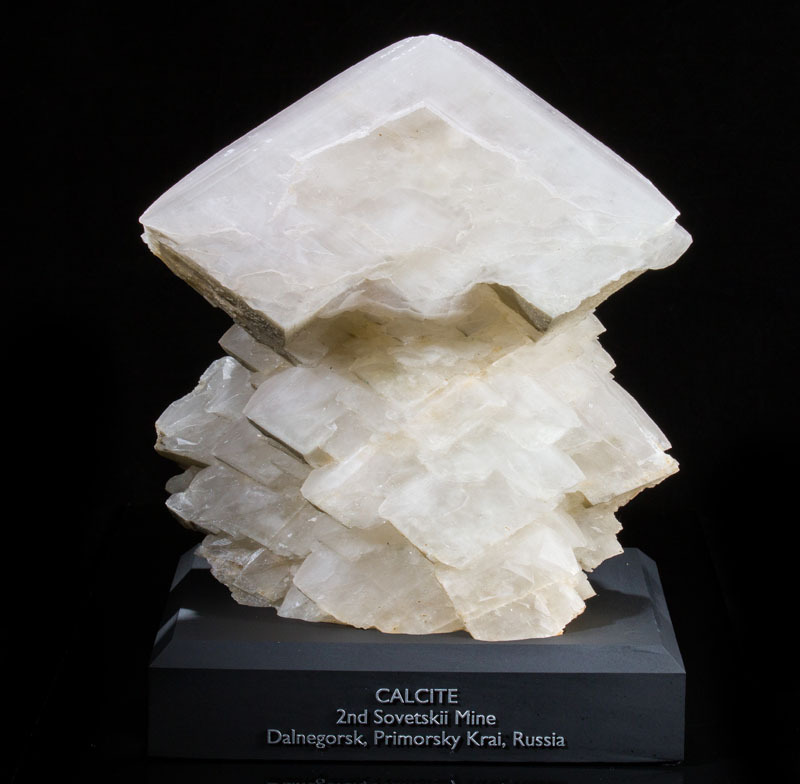 This calcite specimen from Dalnegorsk, Russia is absolutely huge! 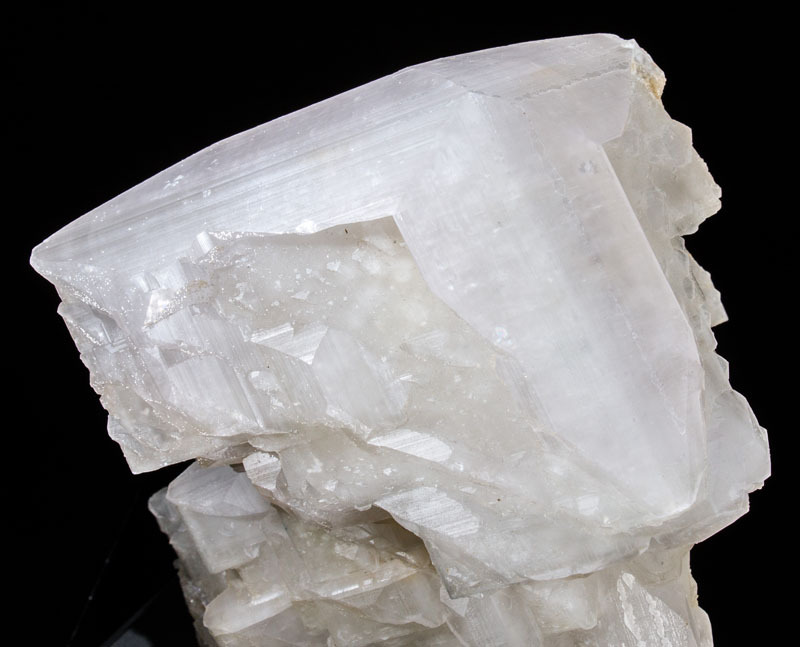 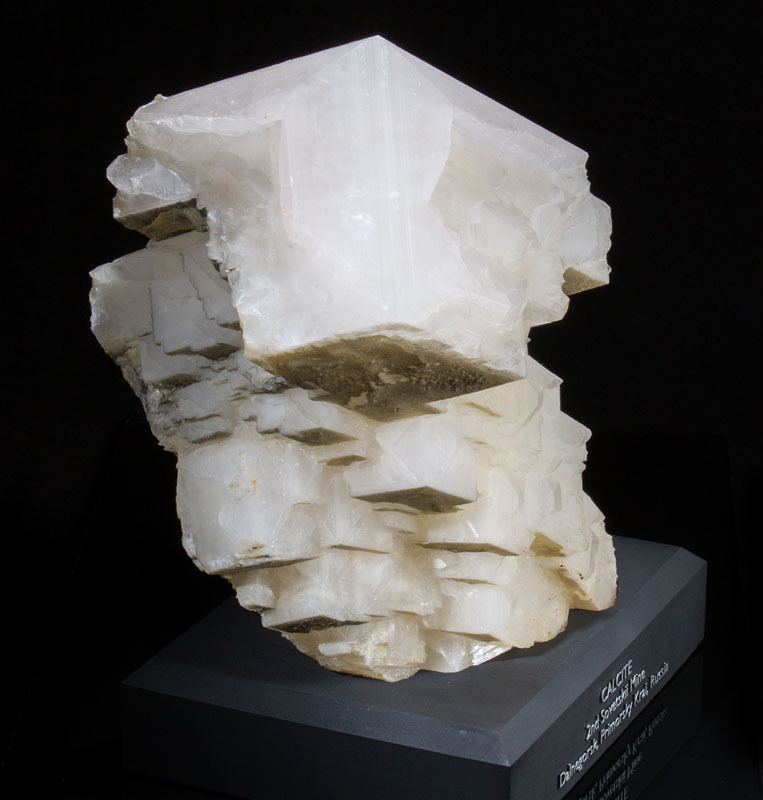 There are a series of intergrown calcite crystals all culminating to the enormous crystal on the cap. 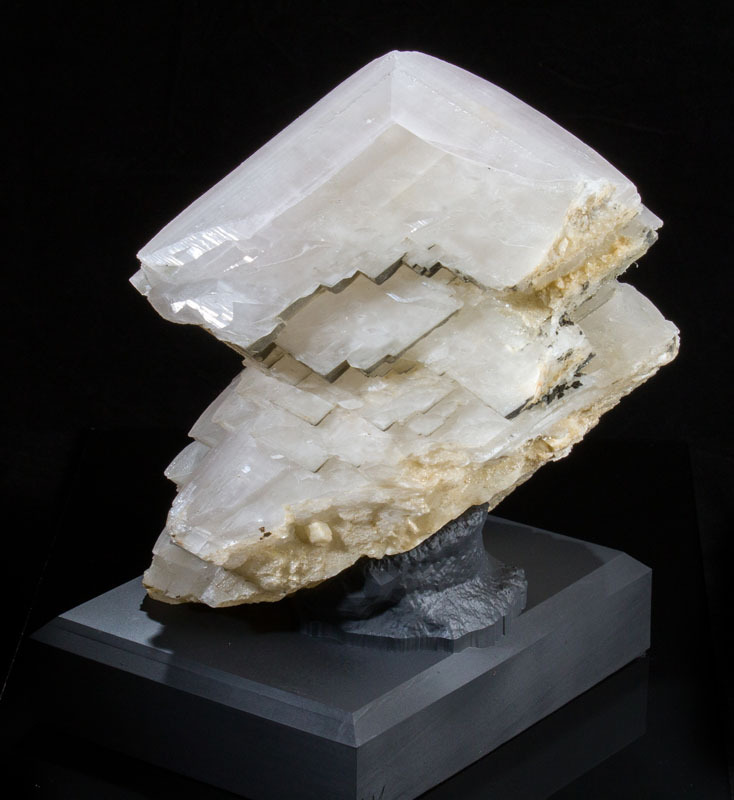 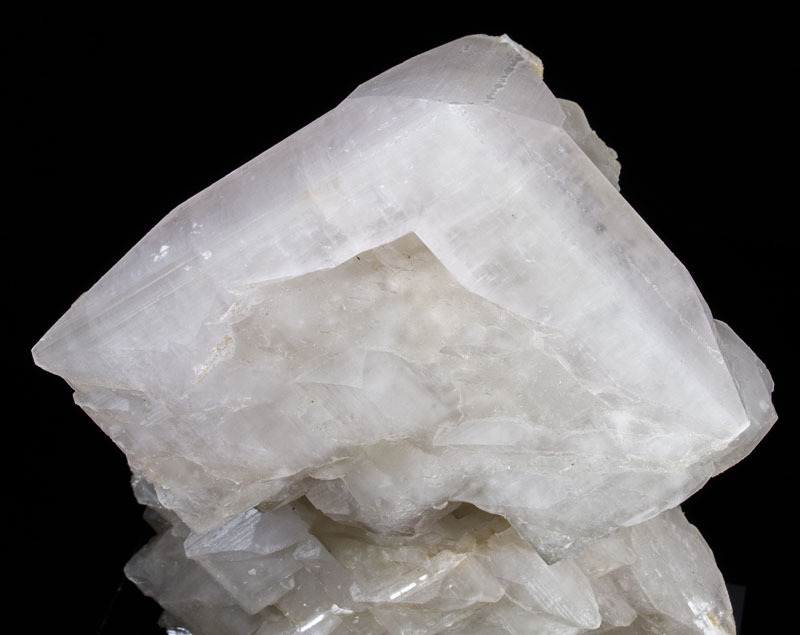 This large crystal measures 16cm wide! 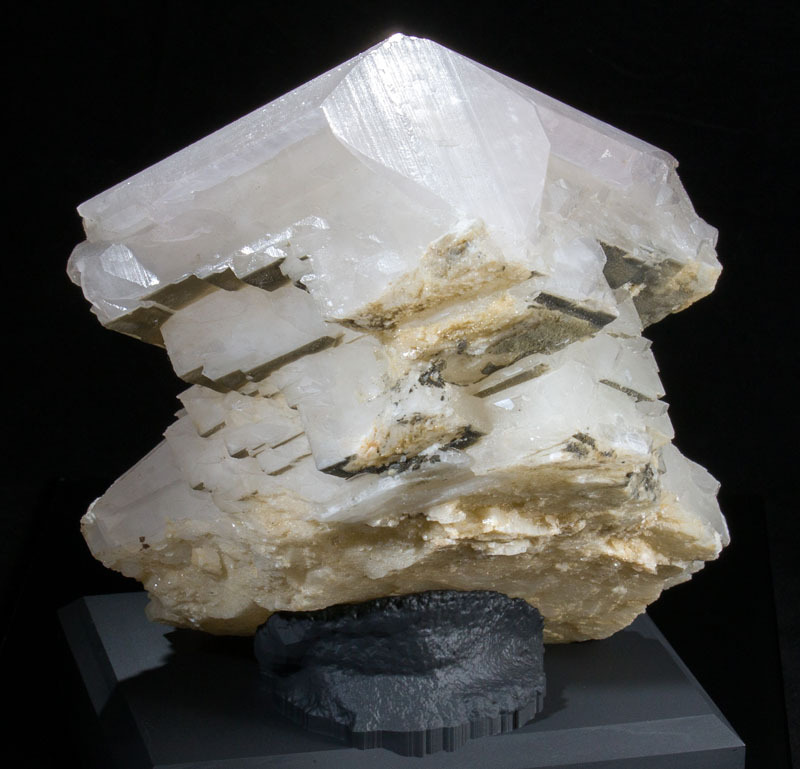 It has a "Mercedes Benz" shape. 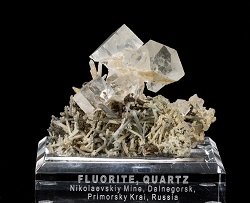 Condition is extremely good, especially for a specimen of this size and weight. 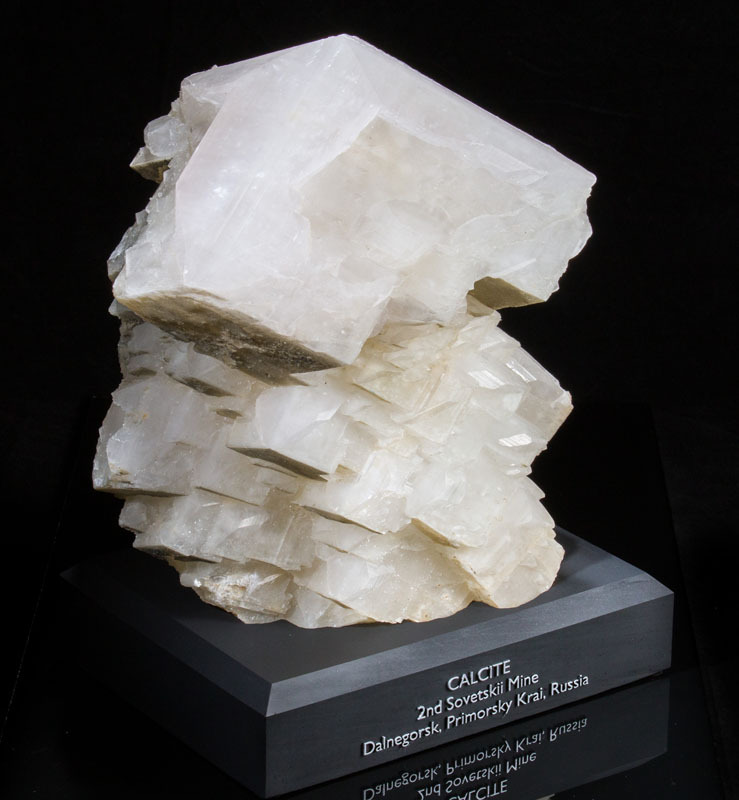 No significant damage, and it comes with a labeled acrylic display base.